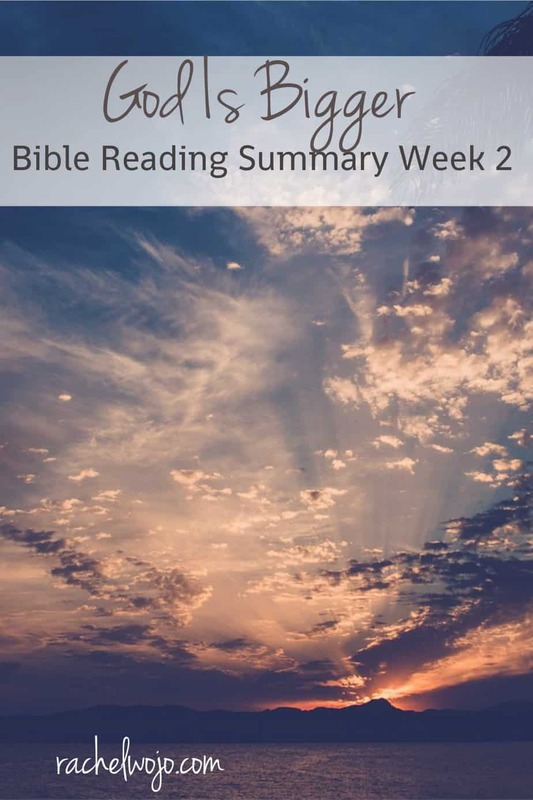 Welcome to the God Is Bigger Bible Reading summary week 2! 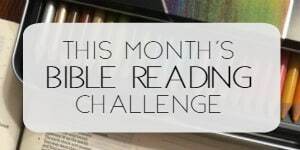 If this is your first time here, every month I host a Bible reading challenge and present a printable or digital plan for your convenience. We then read together each day and many of us post on social media, especially Instagram, almost every day using the hashtag, #GodIsBigger. I’m thrilled that you could join us and hope that you’ll share what you learned from the reading this week in the comments. 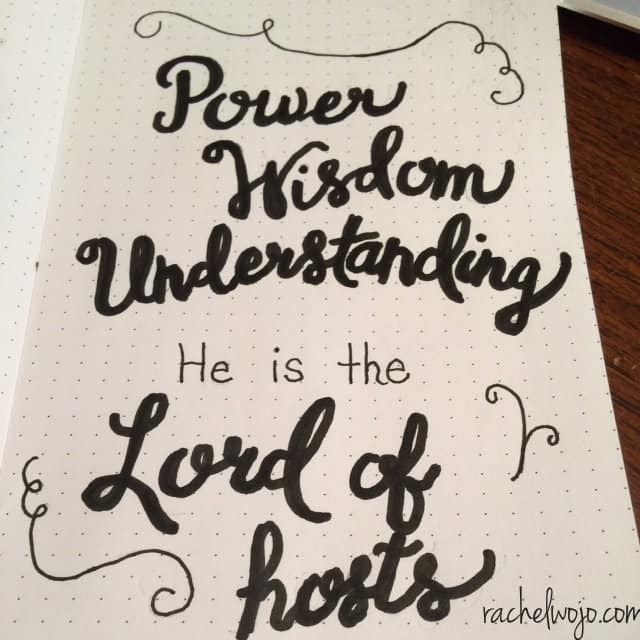 I’ll summarize what I learned this week through the Bible reading challenge and we can all learn a little more together. Ready? Job may not have had the best of friends. But this one piece of advice he was given is sound. What if we stopped to fill our name in Job’s place? I don’t think you can see it, but I penciled mine in. His work in the past reminds us today that no matter what we face #GodIsBigger ! “Power belongs to God, and that to you, O Lord, belongs steadfast love.” Do you believe that God has the power and love in your life? Then what goes in the blank today? Disease, finances, divorce, death, relationship? 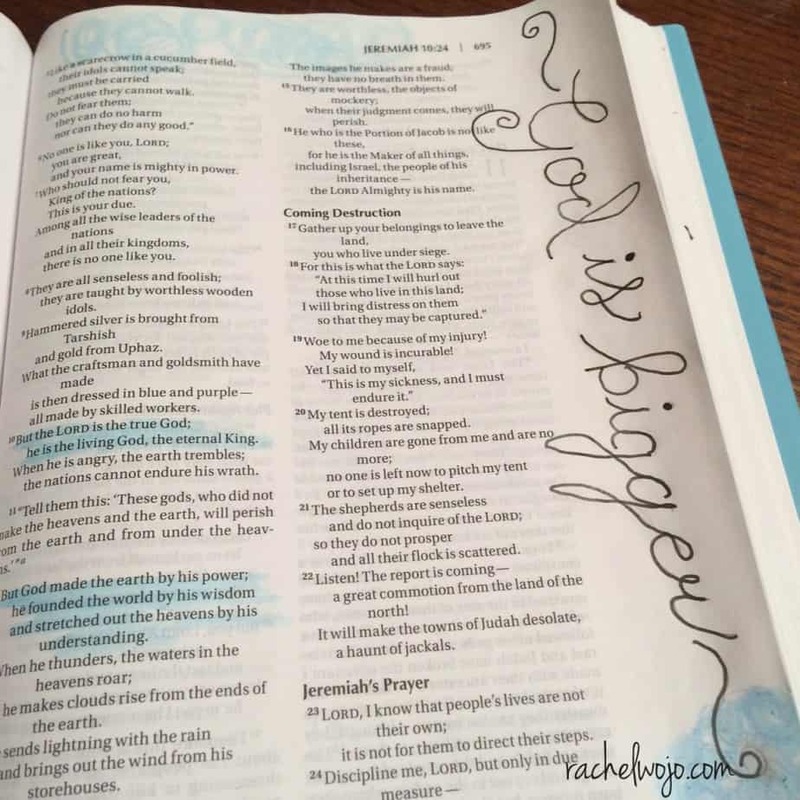 Whatever it is, His Word promises us that God is bigger! “It is he who made the earth by his power, who established the world by his wisdom,and by his understanding stretched out the heavens.”If God has all this, then that problem swallowing you up right now? 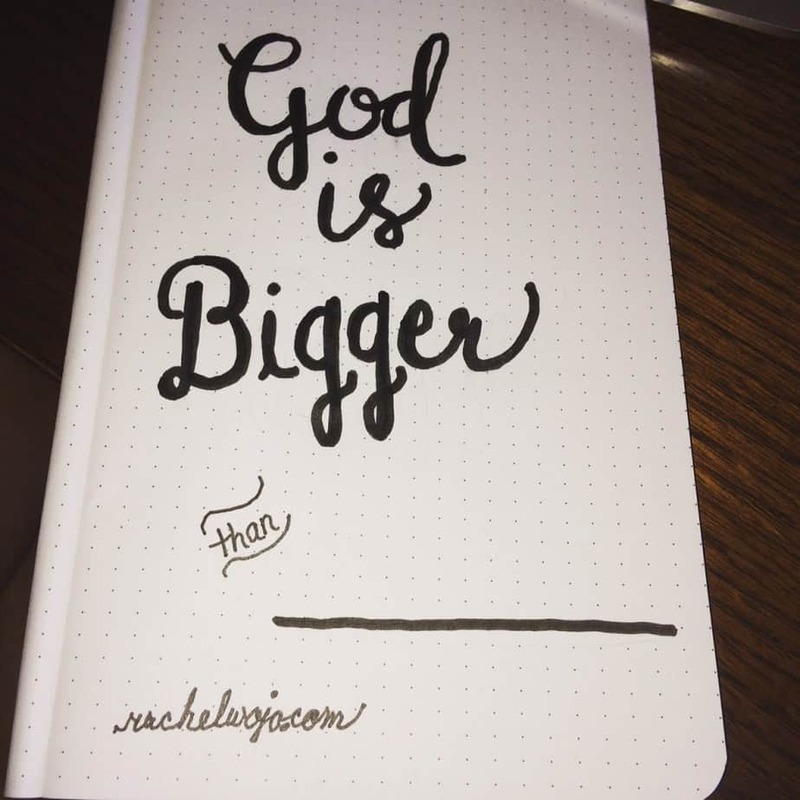 God is bigger. What a solid Scriptural reminder that even the most difficult situations are not too much for our God to handle! 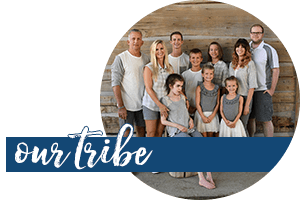 Several of you have written to me in the last couple weeks about your battles right now. What battles? Weight issues, loss of a spouse, grief over wayward children, and that only begins the list. Whatever it is, nothing is too hard for God. He who created the universe rules over it. By his will we have the gift of another day. He already has the tests, temptations, and trials of this day in the palm of his hand. 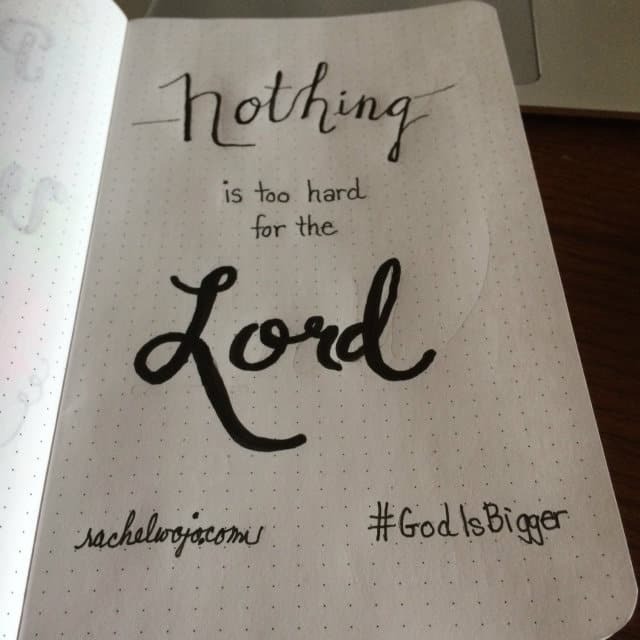 Because no matter what you encounter, God is bigger. The righteousness of God is revealed by faith as Paul tells us. But since creation, God has revealed himself through what he has made. Did you watch the meteor shower? My husband saw far more action than I did, but I actually saw a shooting star last night for the first time. 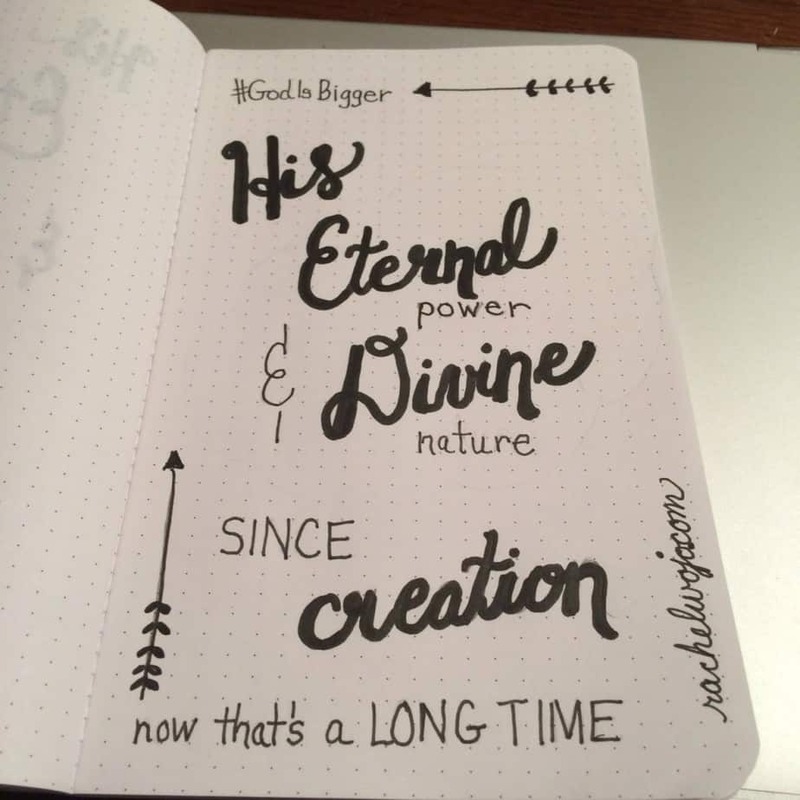 And yet, God is bigger! That’s a wrap-up this week! 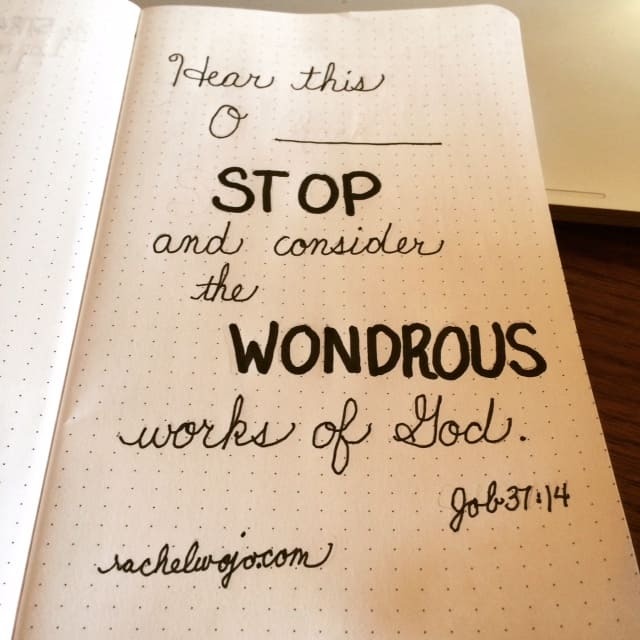 I hope you are getting into God’s Word each day to see what he wants to speak to your heart and I’d love it if you would share it with us! Printor screenshot the God Is Bigger Bible reading plan. 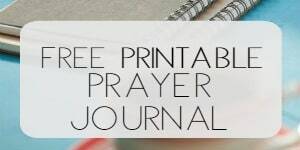 And if you are curious, I started to try Bible journaling to improve my focus on the Scripture..
God spoke into my heart that he is bigger than natural disasters this week. On this past Tuesday we had a very bad storm in the Charlotte suburbs in North Carolina. I just happened to be in my local Walmart when the storm came! The storm was so bad the power went out and then had to run on a generator but only some of lights worked and the registers would only work for the next 30 mins. Then employees came up to everyone yelling at them to stop shopping and get to the front and they announced it on the big speaker in the store. My family and I were frightened! The rain was so bad it was blowing into the store. Luckily, we were able to purchase all of our items we had in our cart. The rain was a huge downpour but we had to get to the car! So my family and I ran to the car and we couldn’t even see where we were going and there was so much water it was up to my knees (I’m 5’0). When we finally got into the car the first thing I said was “God is so good! We needed this rain badly!”. The scripture I read the morning after was about how God works through what he created. (Romans 1: 16-25) God reminded me that no matter how big your obstacle is, God is bigger!